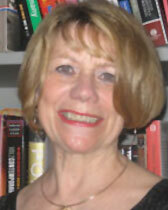 Betsy Erkkila (Ph.D. University of California, Berkeley) is the Henry Sanborn Noyes Professor of Literature. Her teaching and research are in the field of American literary and cultural studies, with a particular interest in American poetry, comparative American cultures, race and gender studies, and cultural and political theory. She has been awarded fellowships by the John Simon Guggenheim Foundation, the Woodrow Wilson International Center for Scholars, the National Endowment for the Humanities, the National Humanities Center, the American Council for Learned Societies, and the Fulbright Foundation.She is the author of The Whitman Revolution: Why Poetry Matters(Iowa UP, under contract); Mixed Bloods and Other Crosses: Rethinking American Literature from the Revolution to the Culture Wars (Penn Press, 2005); The Wicked Sisters: Women Poets, Literary History, and Discord (Oxford UP, 1992); Whitman the Political Poet (Oxford UP, 1989; paperback 1996); and Walt Whitman Among the French: Poet and Myth (Princeton UP, 1980). She is currently completing a book entitled Imagining the Revolution: Literature and Politics in Insurrectionary America, which was supported by a Guggenheim Fellowship in 2010-2011. She is the author of numerous essays and articles on American literature and culture, including "Before the American Novel,” the lead essay in The Oxford History of the American Novel (Oxford UP, 2014); "Lincoln in International Memory," in The Cambridge Companion to Abraham Lincoln (Cambridge UP, 2012); "Perverting the American Renaissance: Poe, Democracy, Critical Theory,” in Poe and the Remapping of Antebellum Print Culture (LSU UP, 2012); "Whitman, Melville, and the Tribulations of Democracy,” in A Companion to American Literature and Culture (Blackwell Publishing, 2010); "Radical Jefferson," an invited response to Michael Hardt's "Jefferson and Democracy" in American Quarterly (June 2007); and "Whitman, Marx, and the American 1848," in Walt Whitman: The Sesquicentennial Essays (2007). She is the editor of Walt Whitman’s Songs of Male Intimacy and Love: Live Oak, with Moss and Calamus (Iowa UP, 2011); Ezra Pound: The Contemporary Reviews(Cambridge UP); and co-editor (with Jay Grossman) of Breaking Bounds: Whitman and American Cultural Studies.